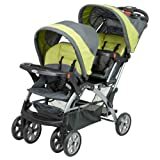 One of the very first few things that parents should consider after having a child is the best baby stroller for your convenience moving your baby. This simple invention has alleviated the whole weight of parenthood by enabling parents to go about the simple routines of life such as jogging or running errands with a baby. Strollers also serve to help infants and toddlers alike to enjoy the beneficial effect of exposure to sunshine and nature. 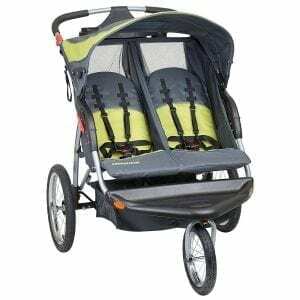 The importance of a stroller thus established we delve into what is important when you are looking for a stroller to buy. Purpose: A standard stroller is simply one that keeps your child comfortable as you run errands or take a walk. 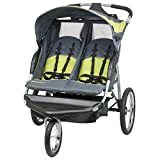 A complex stroller, on the other hand, maybe a jogging stroller, a car seat stroller or a travel system. 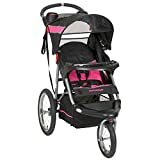 The terrain: Simple strollers have simple rubber tires which may not be efficient if you plan on using the stroller on rocky ground. However, there are some strollers built for tough ground. Car seat: Some strollers are built with a frame which allows them to be converted to a car seat or adjusted to a stroller. 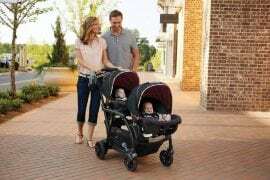 Such strollers are perfect for parents constantly on the move. 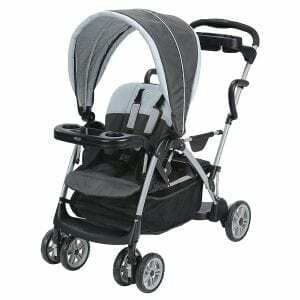 The summer 3D lite is one of the most versatile and lightweight strollers available. It is made with an all-aluminum frame making it super light at below 12 pounds. The seat is extra-large and heavily padded and has a 4 point recline system with the last almost at the horizontal level, great for napping or diaper changing. The stroller also features a 5 point harness system keeping the child firmly held in. Nap times are also quite comfortable on the stroller because it features a 99.9% sun cover visor which stretches out to the level of their legs. For the parent, the stroller holds extra basket space for your purse and an extra diaper bag and a cup holder to ensure you carry your water along. Overall, this is a very sturdy stroller with firm rubber wheels. 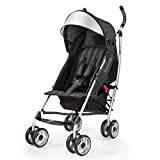 However, the only challenge is that the stroller is pretty low and may prove to be uncomfortable for older children with considerably longer legs. This is a tandem stroller designed for parents with young children that are closer together in terms of age. It offers a front infant seat and a back bench seat both of which can hold children up to 50 pounds of weight. The front seat is more suitable for the younger child and has a well-defined padded seat with 5 point recline system. The last position is horizontal ideal for napping. It also has a 3-5 point harness system covering all the stages of growth. It has a sunshade for protection from the sun as well as the rain. The back bench is ideal for older children, it has a well-padded bench with only a three-point harness. The child may sit or stand in which case, they sturdy themselves with the riding bars. The front seat offers a cup holder which may otherwise hold cups, snacks or toys for both the children. For the parent, there is a large storage basket as well as a cup holder for two cups. The wheels of the stroller can be locked for easy maneuverability on tough terrain. This stroller is compatible with other Graco seats. The padded cushions are easily removed and machine washed. Bigger infants may take up more space making it uncomfortable for the child on the bench. As the name suggests, this is a great stroller for the outdoors. It has been built with bicycle wheels and has an additional front wheel which may be locked when jogging. The seat is heavily padded, can recline softly and has a 5 point harness system. The footrests have reflectors keeping you visible in low light. The pushing handles are made of rubber, keeping them soft in your hands. There is ample storage space with cup holders both for the child and the parent. Caution for parents with lightweight children, due to its light steel frame, leaving the stroller unattended may be risky in windy areas. This stroller is ideal for children at different stages of development. It features two different car seat with the option of seating for both or the one at the back standing and the front seated. They both feature well harnessed, padded cushions with sun visors. The maximum weight of the child is 40lbs. The front infant seat has a cup holder for the children while the parents have their own storage space and cup holders. It is important to note that the storage space in the basket may be a little limited compared to that of a standard stroller. A deviation from strollers, we venture into travel systems which combine infant car seats with strollers. The expedition lx travel system features a comfortable infant seat which carries children between 0 and 30 pounds. This stroller fits firmly into the car seat base with one hand installation. The stroller has a push-button release and can be transported from the car to the stroller simply. It is heavily padded with double side impact protection. The cushions are machine washable. The stroller is sturdy and features at least 4 recline positions. 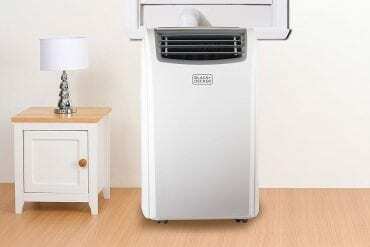 It has large storage space with great cup holders both for the mother and the child. It folds up easily with one hand and completely folds taking up little storage space. Of note is that this stroller wasn’t built for jogging and should therefore only be used on smooth grounds. 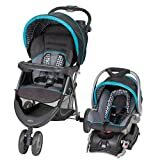 Combining all other great features of baby trend strollers, the unique feature of this stroller is its side by side tandem seats. Ideal for siblings and twins, the seats are comfortably padded, heavily harnessed and have a sunroof. The stroller has plenty of storage space and is easily stopped using a foot brake. The tires are all round pneumatic allowing you to use them on errands or even rocky expeditions. Due to its design, this stroller is rather bulky even when folded. This travel system features a rear facing infant seat and a stroller. The infant seat is ideal for children up to 50lbs and is heavily padded for comfort. It is rear facing for safety. The seat holds firmly in place and clicks for certainty. It is easy to strap in and just as easy to remove. The stroller, on the other hand, is ideal for children up to 60 lbs. and is heavily padded as well. It is also rear facing, ideal for bonding. The five-point harness system also works for extra safety. It has an extended coverage sunroof. It folds in one second and with one hand. 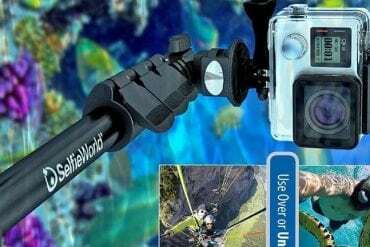 In addition, you can easily carry it around and because of the lightweight, it is portable. The wheels are all round pneumatic and can be used in many terrains. The parent tray holds at least two cups and has a big basket with a zippered pocket for wallets or your phone. 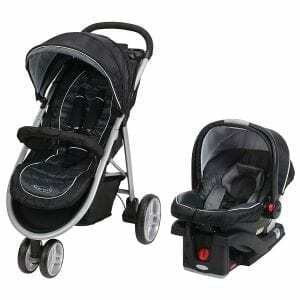 This travel system is made for infants up to 30 pounds and thereafter the stroller has a limitation of 50 pounds. The infant car seat is heavily padded with softer cushioning around the child’s head. The car seat can easily be fixed and adjusted as the child grows. The 5 point harness is in the different stages of growth. The EPS energy absorbing foam is added protection. The stroller is sturdy while being comfortable as well. It has multiple recline positions. There is plenty of storage and cup space for the parents as well as a peek-a-boo canopy. It is important to note that one the infant becomes clumsy, it might not be ideal to put them in the infant seat as it will move around. 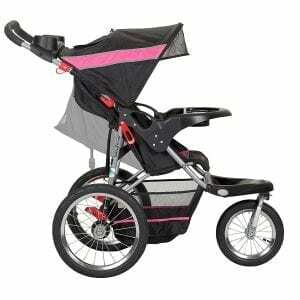 The light rider encompasses everything we look for in a stroller. It is lightweight and folds with one hand. The folded stroller can be stored anywhere and fits even in the tiniest of spaces. 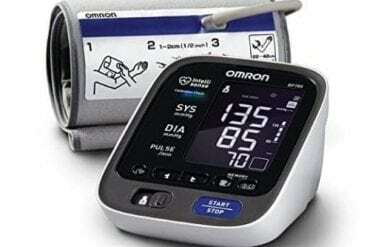 It is compatible with most of the Graco infant seats and fits with a click always keeping you certain. 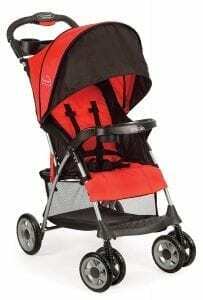 The stroller has a comfortable padded seat for the child and an extended sunroof for UV-protection. Thanks to the multi-reclining positions, you can let your child sleep comfortably as you change them. The parents have a large basket storage space, cup holders and a zipper for the phones and any other accessories. To sum up the review, this is a smaller stroller version which encompasses everything you need for a travel stroller. The wheels are built for all-terrain and the front ones are suspendable. 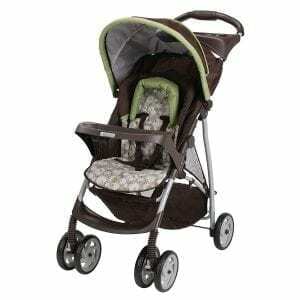 The stroller itself is comfortable, has a 5 point harness and can recline. 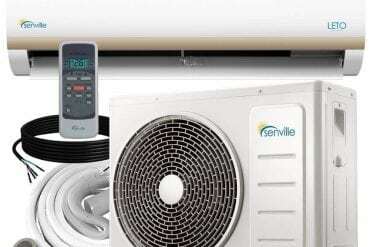 To keep the sun at bay, it has a sunshade which can be retracted when not in use. The parents have plenty of storage space, cup holders, and baskets. Folds with one hand and takes up almost no storage space. 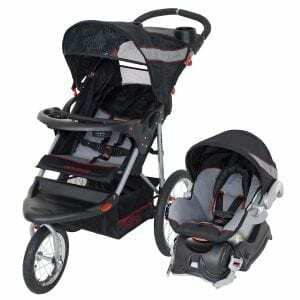 All the above are some of the great strollers and travel systems you can find. Each of them has its own strong points and the decision on what is best for you will definitely boil down to your personal preferences as well as the amount of money you are willing to spend.